Chocolate really is the way to our heart. Stumped about what to buy a loved one for Valentine's Day? Or maybe you're looking to send to your partner as a subtle "buy me this" hint? Either way, we found a pretty amazing gift idea that anyone with a sweet tooth will appreciate. 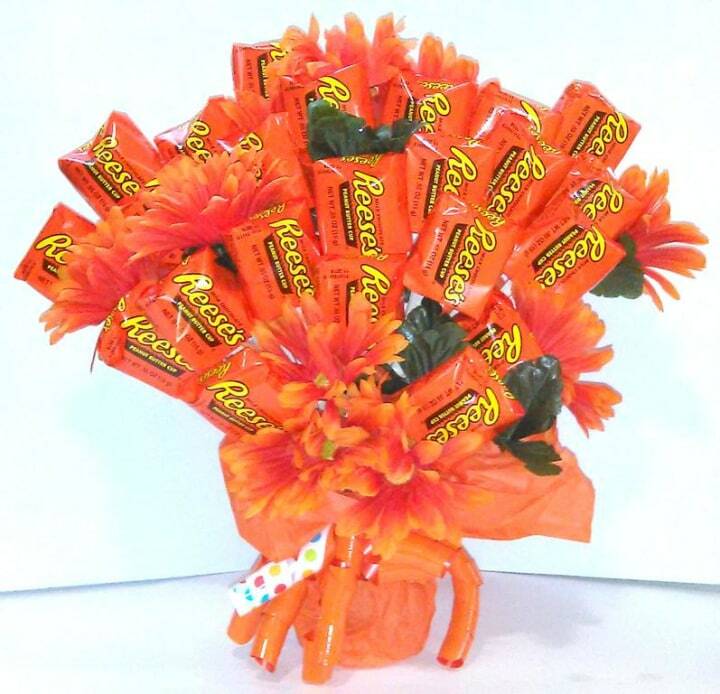 Right now Walmart is selling bouquets of Reese's candy and to be honest, it's so much better than flowers. 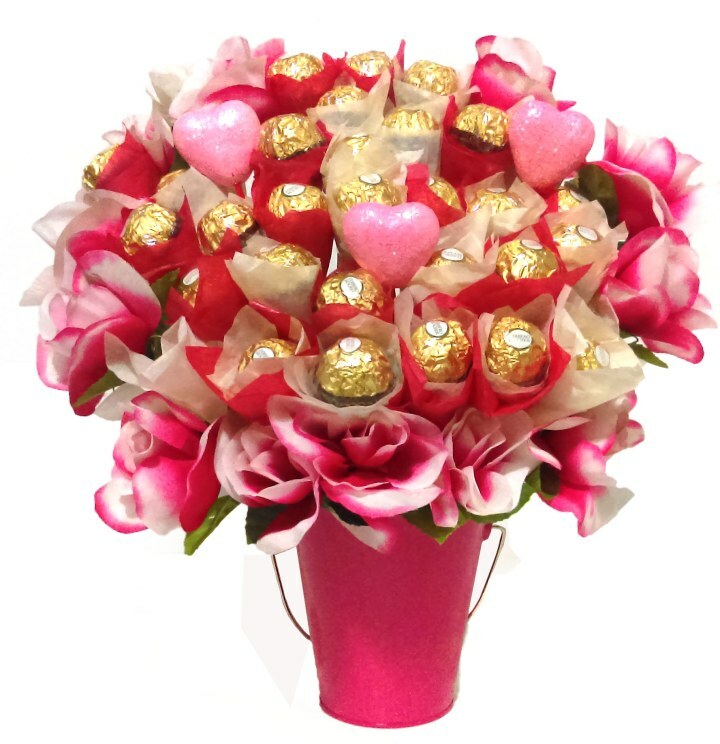 The edible bouquet contains 36 peanut butter cups mixed in with coordinating orange faux flowers. You can keep it on your desk and share with friends or you can put that New Year's diet on hold and go to town! Can you imagine anything more romantic than three dozen discs of chocolate-covered peanut butter? We didn't think so. 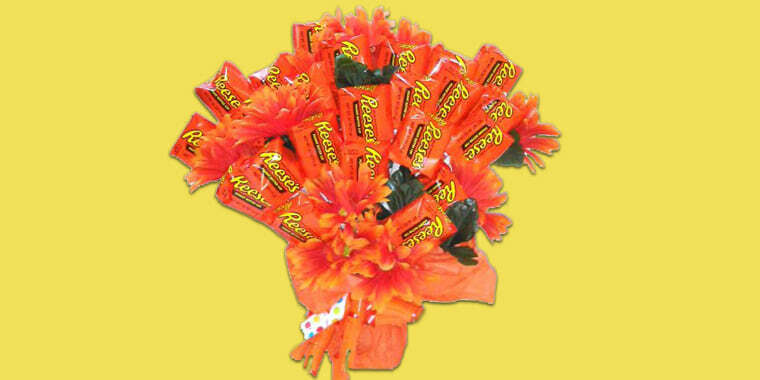 But if Reese's isn't your candy of choice, Walmart also has other candy bouquet options — and they all sound delicious. 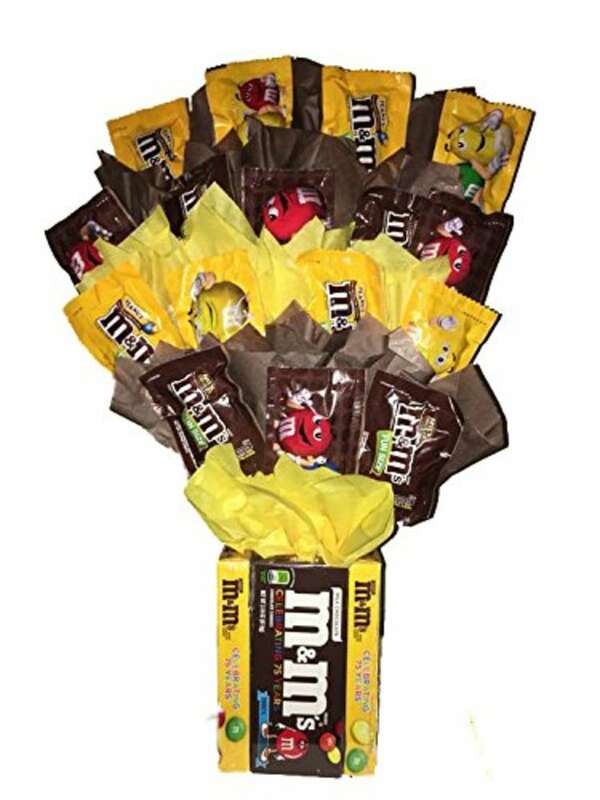 This M&M bouquet is made with four theater-size M&M boxes and topped with 16 fun-sized packets. 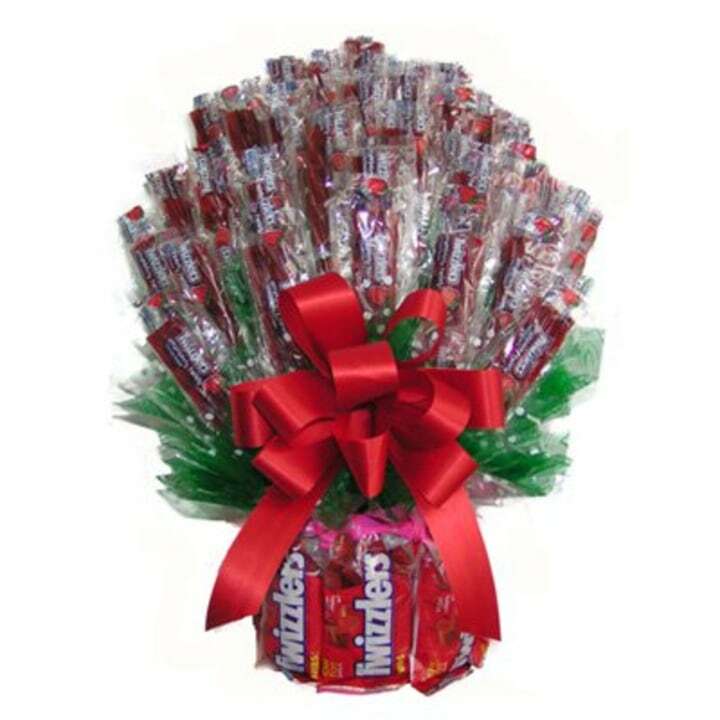 This yummy bouquet features five large Twizzler packs and 12 fun-size ones. It's also available in a larger size if you want to show them you REALLY care. 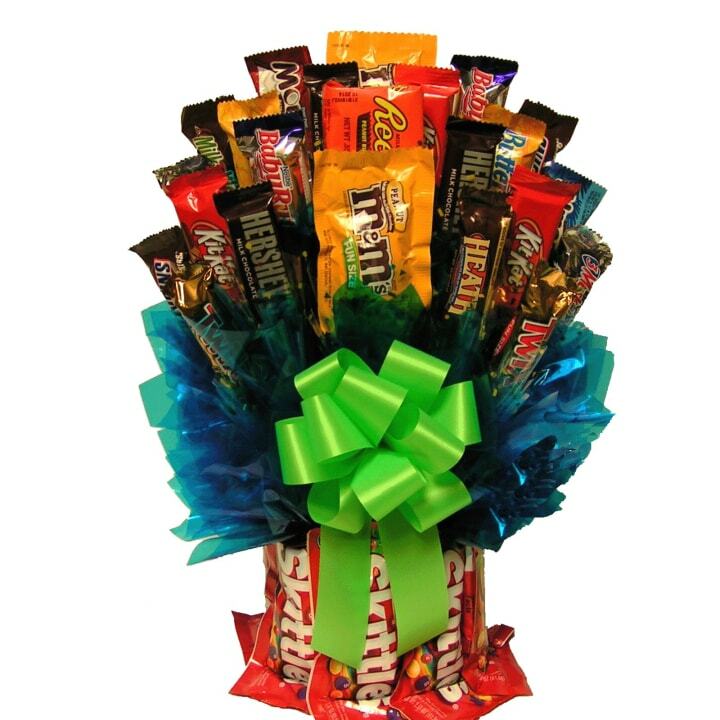 If you like a variety of candy options, this bouquet is perfect. It includes a few large packs of Skittles and an assortment of fun-size candies, such as Reese's, Heath bars, M&Ms, Kit Kats and more. This option is perfect for Valentine's Day because it's full of hearts, flowers and of course chocolates. The bouquet includes paper flowers, Ferrero Rocher chocolates, bows, tulle and other cute details. 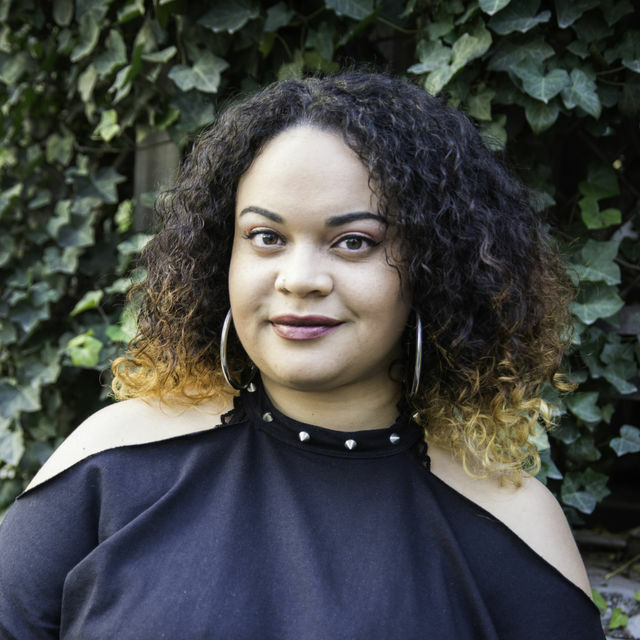 Kayla is the associate commerce editor for Today Digital. She writes about trending products and deals in style, home, food, health and more.